As Christmas is approaching, we as Muslim parents need to remind ourselves the true facts about Lady Maryam (AS) who is widely known as Mary in Western world and her son Isa (AS) who is known as Jesus in this part of the world. If we want our children to grow up as confident Muslims, we need to pass onto them the true message of our faith, otherwise they will end up being confused by the Christian version. 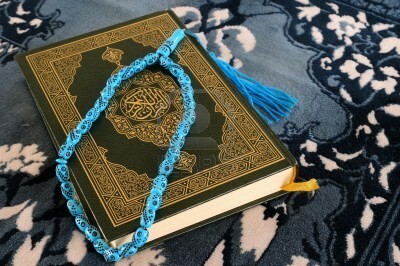 Alhamdulillah we have the Book of Allah (SWT) to refer back to. Maryam’s mother said’ “I name her Maryam and I commend her and her offspring to Your protection from the rejected Satan.” – (Quran Surah 3:36). Once again we can learn so much from her beautiful action. We as parents should make supplication for our children from the very start of their life and also need to remember their offspring too, insha-Allah. 'Her Lord graciously accepted her and made her grow in goodness and entrusted her to the charge of Zachariah.’ – (Quran Surah 3:37) Because of her great supplication, she wasn't just rewarded with a saintly daughter like Lady Maryam (AS) but also with a great grandson Isa (AS)! Subhanallah ! This just shows how much our good intention and dua can help us in gaining countless rewards from Allah (SWT). There are so many ayats in the Qur'an where we come across the story of our prophet Isa (AS). Insha-Allah I would like to write more about Isa (AS) in future posts insha-Allah.